My sister hosted a HUGE Halloween party so we came out to Chicago to attend. 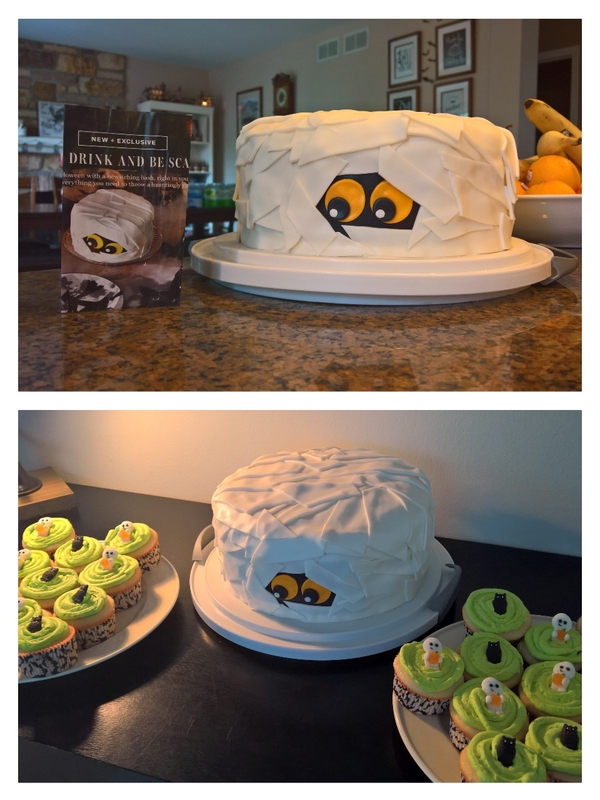 My contribution was the centerpiece cake (and cupcakes), a design I took right out of the Wil*iams Son*oma Halloween catalog. This one was so easy, a beginner could have done it (my sister’s bakery owner friend agreed!). Categories: Caking, Holidays, My Free Time | Permalink. Thanks! Nara is in a class all her own! Fondant is easy…. She constructs only with buttercream and that takes real talent!!! Thanks! You are one of those people who knows how easy this was to make! Haha, I actually hate working with fondant (too much rolling and cutting!) so I would have found that more difficult than just piping it on! It looks awesome! That cake looks really good, well done! perfect for Halloween. Did it taste as good as it looks? Thank you! Yes… It did taste good! It sideways does – fool proof recipe on recipegirl.com! When Noemi raved about your caking skills, she was being subtle. WOWZA!